Missionary Records. West Indies. London: Religious Tract Society, nd. (circa 1835) 12mo. xvi,308pp. folding map as frontispiece. Slight damage to verso of map where badly folded, little foxing to map, faint stains to upper board, with the bookplate of “W. Wilfred Carey, 1880”, a very nice copy in the publisher's dark brown cloth. Missionary Records. West Indies. London: Religious Tract Society, nd. (circa 1835) 12mo. xvi,308pp. folding map as frontispiece. Slight damage to verso of map where badly folded, little foxing to map, faint stains to upper board, with the bookplate of “W. 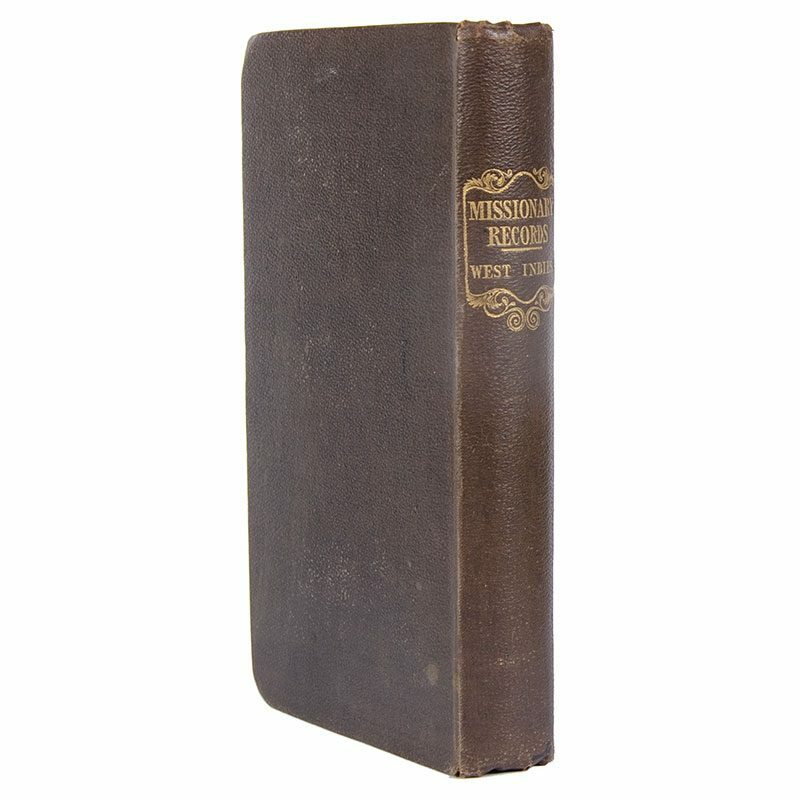 Wilfred Carey, 1880”, a very nice copy in the publisher’s dark brown cloth.